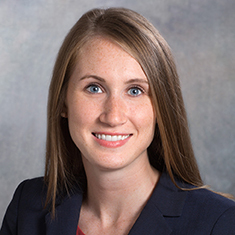 Kelsey Panizzolo is an associate in the Litigation practice. While in law school, Kelsey served as an articles editor for the Wake Forest Law Review and was a member of moot court. She competed in the National Moot Court competition, where her team successfully argued at the US Court of Appeals for the Fourth Circuit to win the regional competition and advance to the quarterfinals at the national level. Kelsey also participated in the Litigation Externship Clinic and spent a summer in Vienna, Austria, studying comparative constitutional law. Shown below is a selection of Kelsey’s engagements.